After a retiring from a 14-year career as a NFL quarterback Drew Bledsoe returned to his hometown to start a new venture with his childhood friend and well-known winemaker, Chris Figgins. 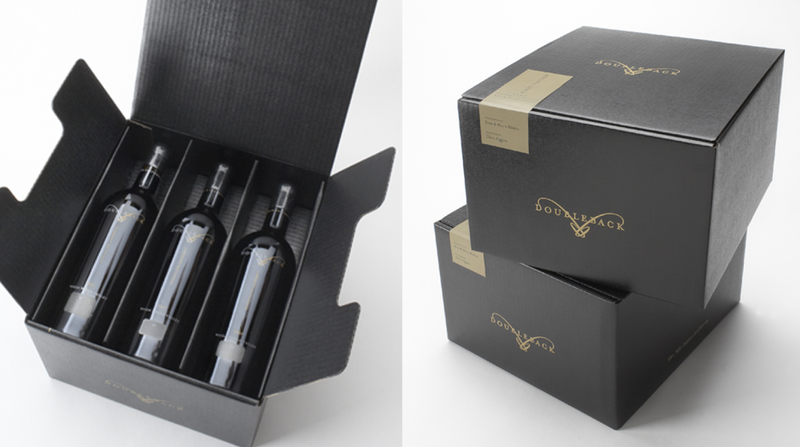 Thus, the name, Doubleback reflects the idea of returning home to experience things in a new way. The look of the brand is based upon the idea of “Carhartier”— combining the simple, hardworking qualities of Carhartt with the sophistication and elegance of Cartier. Initial brand research to uncover key messaging and potential areas to explore based upon the ideas of origins, experience and function.